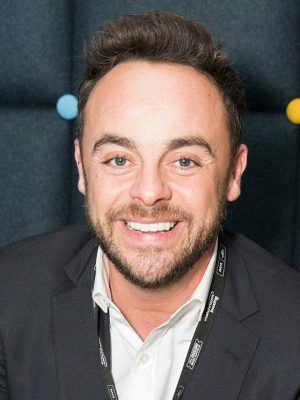 When and where Ant McPartlin was born? McPartlin's first appearance on television was on the children's workshop programme Why Don't You?, but his big break came when he rose to prominence playing the character of PJ in the CBBC series Byker Grove. It was during his time on the programme that he first met Declan Donnelly, who was cast in the part of Duncan. The pair formed a close friendship on the programme, both socially and professionally, with the men performing as their characters until their departure from the programme in 1993. During their tenure, the pair created a number of hit records under the label of "PJ & Duncan AKA", including the song "Tonight I'm Free" that had been performed on Byker Grove. How tall and how much weigh Ant McPartlin?